The EXPAT Questionnaire is open! 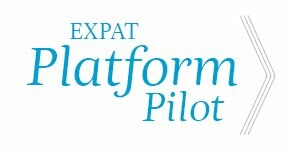 In EXPAT we aim to improve services and networking opportunities for foreigners in Finland, Sweden, Estonia and Latvia. This questionnaire serves as part of the base study to find out the expats’ current satisfaction with the available services as well as their quality of life in the current country of residence. The questionnaire covers topics such as the quality and availability of public sector services, availability of information, perceived level of security, and other social needs. If you want to know more about the project, we encourage you to browse this website, especially the EXPAT Project in a Nutshell tab. Please see the Project partners tab for more information on project partners. The results will be used for improving soft landing services and networking opportunities in your region. In order to gain accurate insights we are waiting for your help. The questionnaire is completely anonymous and the results will be presented in generalized manners. Please give us your honest opinion! We know that your time is precious; therefore we have kept the questionnaire simple. Answering should not take more than 15 minutes of your time. The questionnaire will be open until 31.10.2012. The Expat project leaflet is here! Our beautiful new leaflets are ready! The leaflet gives you an overview of the project's aims, working methods and planned outcomes along with project partners and contact details. Check out the EXPAT Project Leaflet here. You can also find a printable version of the leaflet here.